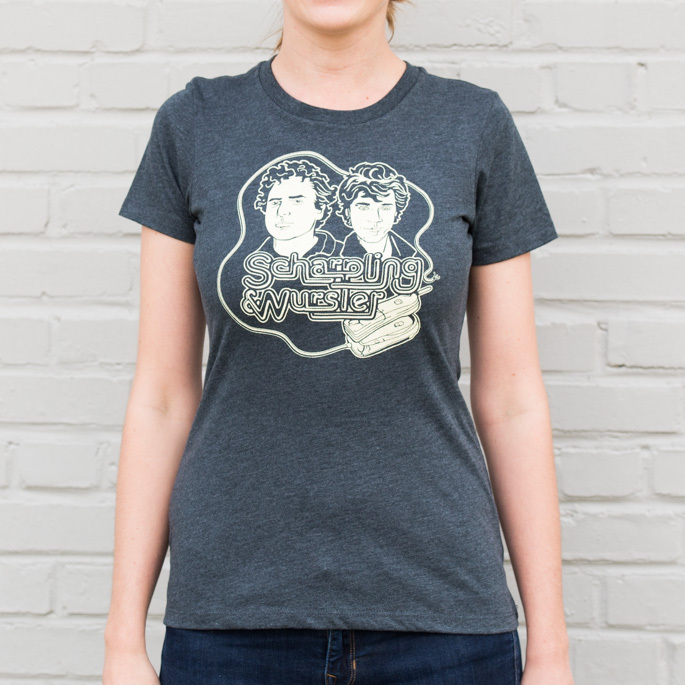 Finally, a shirt with Tom and Jon! 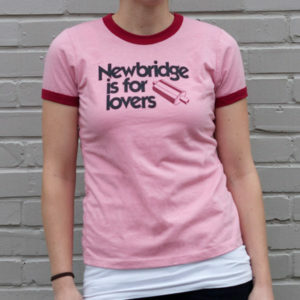 Tell the world that you are a fan of Scharpling & Wurster with this 60% cotton/40% polyester tee made by Next Level. 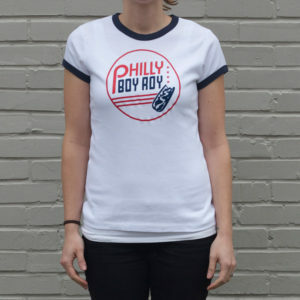 Charcoal shirt, logo on front only. Please use sizing chart below for reference! 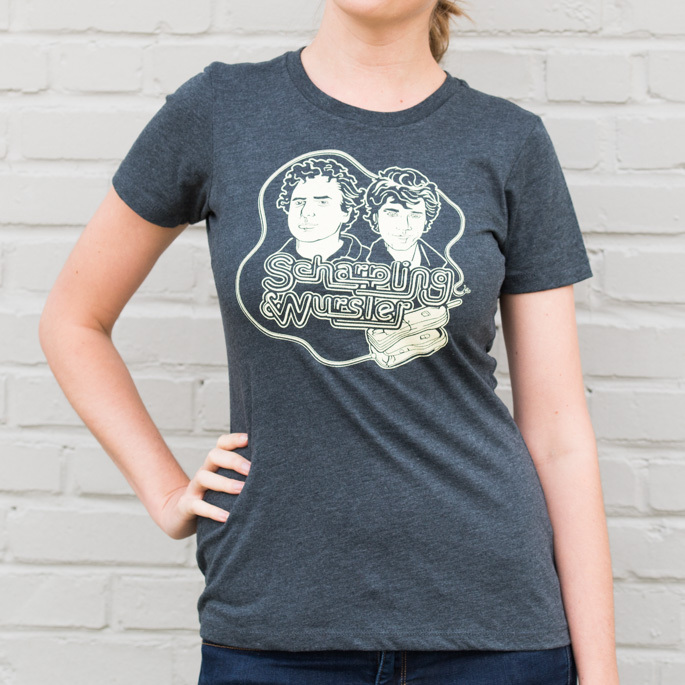 Finally, a shirt with Tom and Jon! 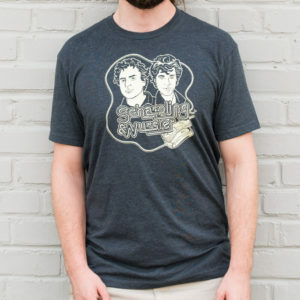 Tell the world that you are a fan of Scharpling & Wurster with this 60% cotton/40% polyester tee made by Next Level.Artwork by Jeff T. Owens. 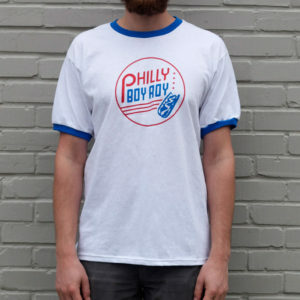 Charcoal shirt, logo on front only. Please use sizing chart below for reference! 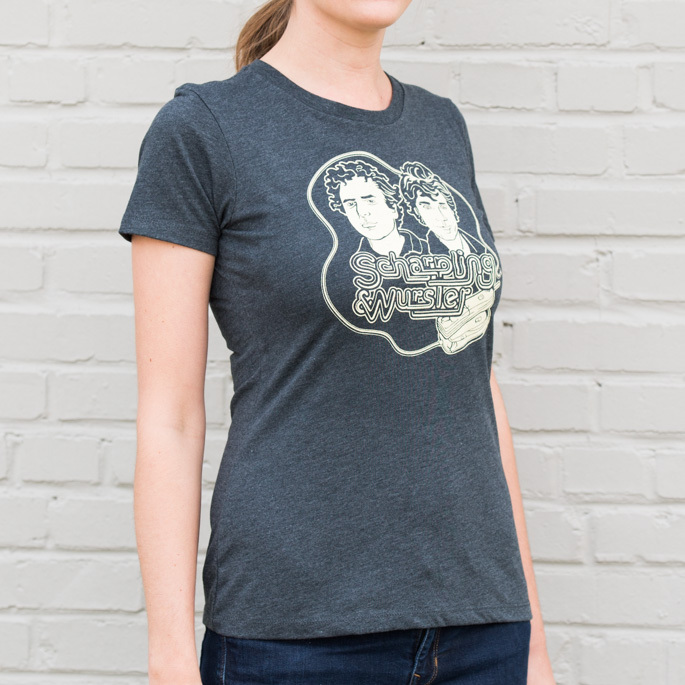 Be the first to review “Scharpling & Wurster Ladies Tee” Click here to cancel reply.